Sometimes we’re just too busy to get outside and enjoy the benefits of nature. Sometimes the weather isn’t playing ball (especially here in the UK!). 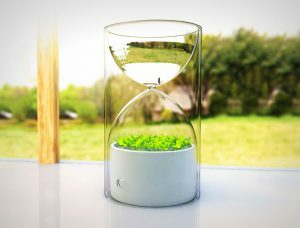 Luckily there are a number of cool gadgets, either available now or possibly in the future, that let you bring the power of nature into your office and onto your desk. 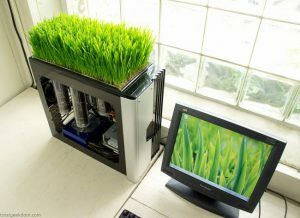 Bio computer takes advantage of the heat generated by operating a computer to germinate and grow wheatgrass. The project, completed for just $10, can be seen in detail here. 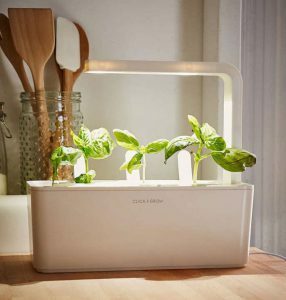 Grow your own herbs right on your desktop with this neat little gadget. Just fill the water basin, plug it in and in 2-4 weeks you’ll see your plants sprouting with full growth in 2-4 months. 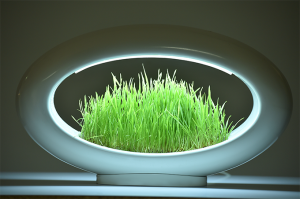 Grow your own fresh micro greens and benefit from a tranquil LED light all in one device. There’s no soil or fertilizer necessary and it requires very little care, perfect for a busy professionals desktop! This Kickstarter project was unfortunately unsuccessful but may re-emerge in the future. 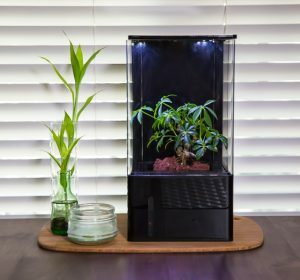 “Improve your quality of life, add healthy air, be more productive, and grow plants easily” is the description of this desktop greenhouse available for pre-order on Kickstarter. Including everything needed to grow plants in an office environment, this gadget almost guarantees a successful crop! When you pour water into the top of Lives Grass, it slowly runs down to the plant using drip irrigation without causing over watering or dehydrating your plant. There’s also a hole at the bottom of the device that releases the plant’s oxygen for air purification. Minimal effort wellness benefits of plants in your office!